We can’t believe how quickly January has gone by, but this February we are freezing down here at AdventureYogi headquarters in Brighton! Many of us don’t have enough time to make a healthy nourishing breakfast before heading out the door in the morning, and as we all know, “Breakfast is the most important meal of the day!” This recipe is really easy and is put together the night before, so all you’ll need to do in the morning is take out a bowl and enjoy! 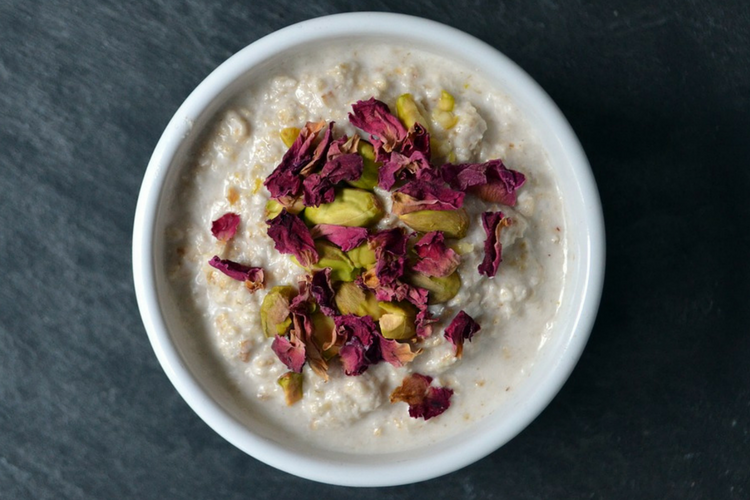 This recipe has been requested by so many of our retreat and holiday guests that we’ve decided to share it with you so you can have the ultimate breakfast porridge at home. Those of you who have been on a retreat with us know what we’re talking about, but for those who haven’t had the pleasure, this is not porridge as you know it – it’s not the tasteless slimy grey sludge! 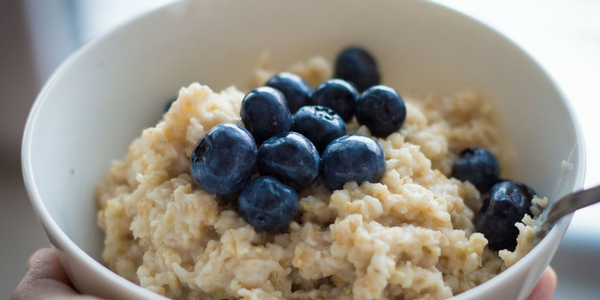 We’re talking porridge that even non-porridge eaters have a second helping of. 1. One serving of the below recipe will give you 100% RDA of manganese, a mineral that when the body is deficient, one effect is that the hair turns white. 2. Oats help to balance blood sugar levels. 3. 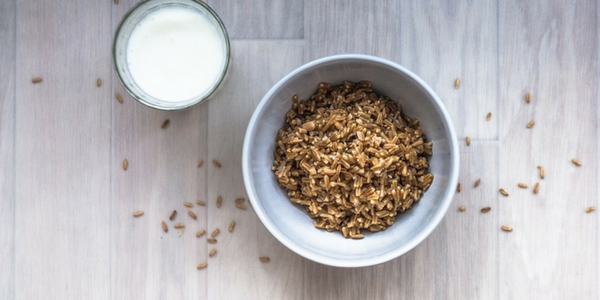 Oats and other whole grains are a rich source of magnesium, a mineral that acts as a co-factor for more than 300 enzymes, including enzymes involved in the body’s use of glucose and insulin secretion. 4. The modern oat draws its ancestry from the wild red oat, a plant originating in Asia. Oats have been cultivated for two thousand years in various regions throughout the world. Before being consumed as a food, oats were used for medicinal purposes, a use for which they are still honoured. The growing of oats in Europe was widespread, and oats constituted an important commercial crop since they were a dietary staple for the people of many countries including Scotland, Great Britain, Germany and the Scandinavian countries. In the early 17th century, Scottish settlers brought oats to North America. Today, the largest commercial producers of oats include the Russian Federation, the United States, Germany, Poland and Finland. 5. 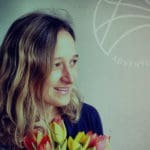 Wild oat, the older less abundant form of the grain, is recognised as a natural antidepressant and a mild sedative by many dating back far into herbal medicinal history. It acts like a tonic to the nervous system, providing both nourishment and balance. Oat tea or an oat Bach flower remedy is used as a nervine (preparation given to calm the nerves). 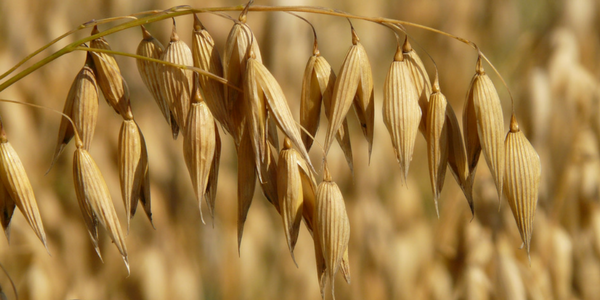 In these capacities, wild oat can be used to treat conditions including headaches, depression, tension, insomnia, anxiety, and feelings of sadness. Wild oat is also used a remedy for nerve pain and chronic fatigue by many practitioners. 1. The night before, put all the dry ingredients in an oven dish lined with baking paper (saves on washing up) and mix well. Add the wet ingredients and leave on the side overnight OR if you have an AGA (heat storage oven), pop it in just before you go to bed on the lowest oven, covered with foil or a lid. 2. In the morning check the liquid level and top up to cover the oats if need be, put it back in the oven at 170 Celsius for 30-40 mins or until golden on top. 3. Serve hot with dollops of coconut yogurt and a drizzle of honey if you fancy. 4. Also you will be pleased to know that you can actually just eat this as it is in the morning after it has soaked on the side board, as a delicious cooling breakfast for both summer and winter! This should keep you going for hours and make you feel good on the inside ready for an active positive day!